With room to seat you comfortably and style that beckons to another time, the Colfax Bench has it all. 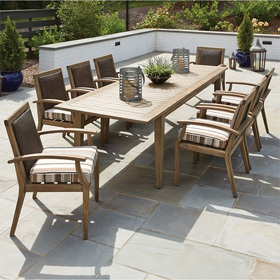 Entertain on your patio with a bench that will have everyone talking. Reliable and durable aluminum construction will keep this bench on your patio for years to come. Plus, your style is sure to be reflected in one of our variety of powder coated finishes. Enjoy great times with family and friends on a bench that will make your patio a place people will always want to gather.